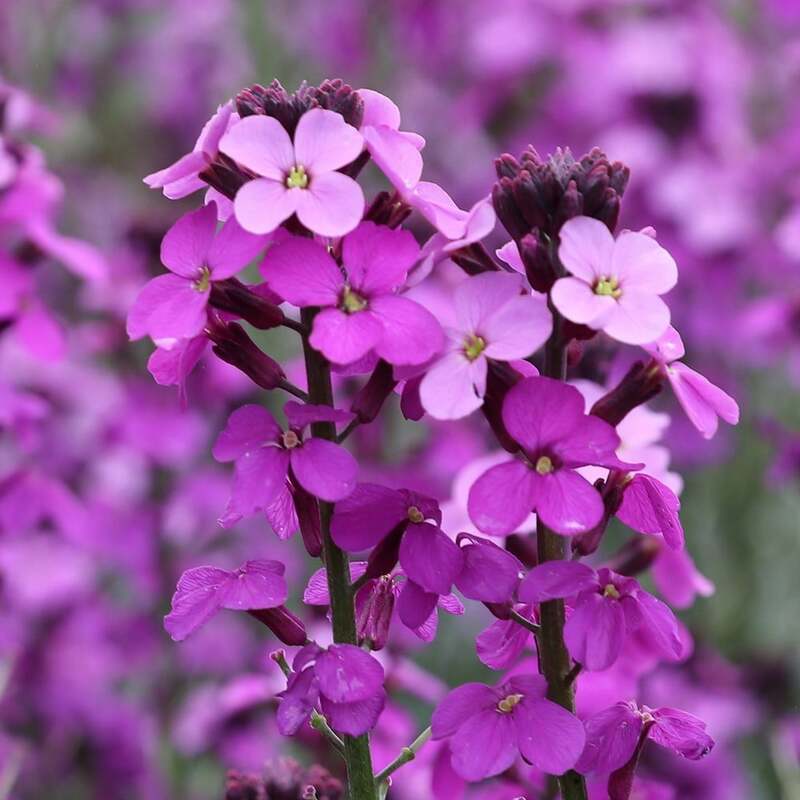 This long-flowering, bushy, vigorous wallflower produces long spires of deep mauve flowers from late winter to summer above narrow, grey-green leaves. 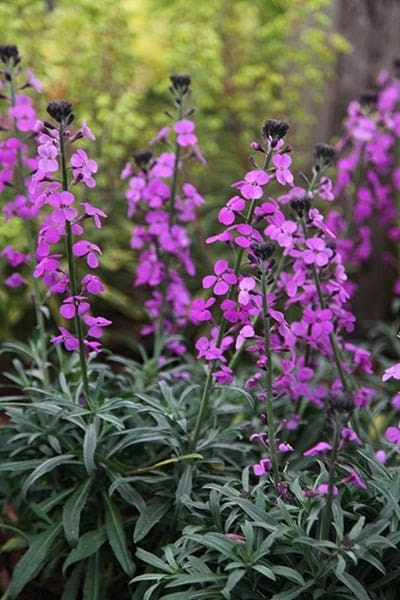 It is a short-lived plant, but makes a vivid display for months in a sunny border. Try it as part of a colour-themed scheme, or contrast it with vivid yellows. 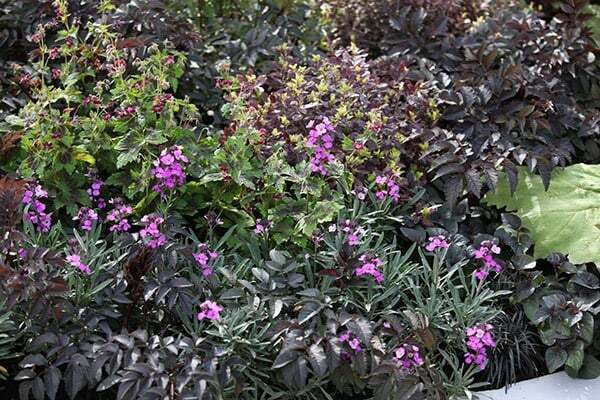 It also looks good in a rock garden or raised bed. Garden care: Provide cloche protection where frosts are very severe or prolonged. Bought three of these, lots of flowers and good sturdy plants. Flower all through spring/summer and look good in the winter too. Looks great in pots as well in borders. Flowers are enjoyed by wildlife who queue in summer to visit. Most attractive colouring with delicate leaves. Plant in excellent condition, well packaged. The plants have thrived and outgrown the same variety from an alternative source - I have used Crocus several times for a variety of plants and have always found them excellent. Brilliant plant for clay soil. This plant does really well in my garden on clay soil in full sun. I have a few of them and they fill the border wonderfully and look great. This plant keeps on flowering throughout the seasons, needs little attention. Dead head, shape up, enjoy the little mauve flowers. I am not a big wallflower fan, but this one is special, with its jewel-bright colour and bushy growth. My garden colous schme is purlpes. pinks and boues with white, so it fits in perfectly. The only disadvantage is that it isn't a long-lived plant, which means that I but new ones every 5 or 6 years - but that means they always look fresh and healthy. Hello, It is possible to take softwood cuttings in late spring to midsummer.